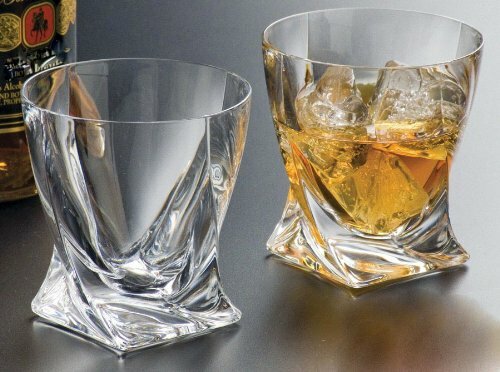 2 Bohemia Quadro Tumblers. 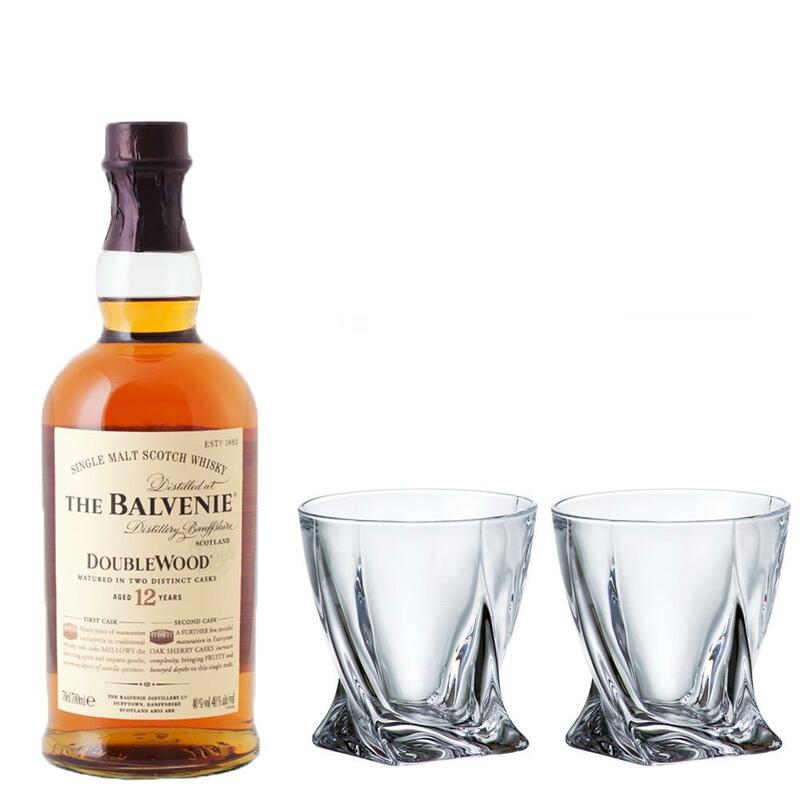 Manufactured from, modern ecologically-clean molten glass known as crystallite (crystallin) in a special refined consistency under a tried and tested process, which, in terms of its parameters, is equivalent to 24% leaded crystal glass. With a full bottle of Balvenie 12 Year Old DoubleWood Whisky.